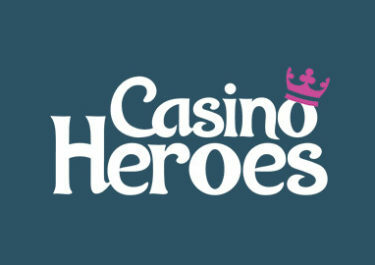 Casino Heroes – Winter Games | Final Week! Compete for the last Winter rewards! Free Spins, Tournaments and Races! Get ready for the Grand Finale of the Winter Games 2018 at Casino Heroes. Beat the last bosses on the special Winter Island, collect Free Spins on deposit, get a Rubies reward and race against your fellow players for big cash prizes. Plus, note the 22nd February 2018 in your calendar as you will be able to enjoy Free Spins on the house on the latest Netent slot, Asgardian Stones™, no deposit needed. 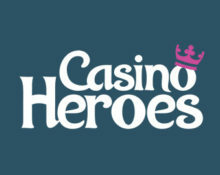 We are heading into the final week of the Winter Games is well underway at Casino Heroes. Players can enjoy the last days with extra Free Spins on deposit or without deposit, mission tournaments and Rubies Sales. All Free Spin winnings will be credited as bonus money. Maximum bet while wagering is €5.00, any winnings from higher bets may be removed. Casino Heroes Bonus terms and conditions apply, read them carefully to avoid disappointment. All players, who have wagered at least one deposit since 19th December 2017, will be rewarded with 50 Rubies, that can be used to buy Free Spins in the Ruby Store. Wagering requirement for the Free Spins is 40x FS winnings within five days, subject to the Casino Heroes bonus terms and conditions. Test the newest slot addition, Asgardian Stones™, with 10 Free Spins on the house. These will be added to the Treasure Chest on 22nd February 2018 and can be claimed between 13:00 – 23:59 CET. Only for players who deposited in the past 60 days. Wagering requirement is 40x FS winnings within five days, subject to the Casino Heroes bonus terms and conditions. Deposit €25 | €50 to instantly receive 25 | 60 Free Spins on Kingdom of the Sun after the deposit is completed. Only one offer can be claimed once per player. Wagering requirement is 40x FS winnings within five days, subject to the Casino Heroes bonus terms and conditions. Deposit €25 | €50 to instantly receive 25 | 60 Free Spins on Orient Express after the deposit is completed. Only one offer can be claimed once per player. Wagering requirement is 40x FS winnings within five days, subject to the Casino Heroes bonus terms and conditions. Deposit €25 | €50 to instantly receive 25 | 60 Free Spins on Northern Sky after the deposit is completed. Only one offer can be claimed once per player. Wagering requirement is 40x FS winnings within five days, subject to the Casino Heroes bonus terms and conditions. Deposit €25 | €50 to instantly receive 25 | 60 Free Spins on Gold King after the deposit is completed. Only one offer can be claimed once per player. Wagering requirement is 40x FS winnings within five days, subject to the Casino Heroes bonus terms and conditions.